Karen is Principal Advisor for Child Protection at Save the Children and a founding member of ReThink Orphanages Steering Group. A staggering 8 million children live in institutions, including orphanages, even though over 80% of them have living parents or family. Karen has worked with many organisations in Australia and internationally to raise awareness of the harms of orphanage tourism and unnecessary institutionalisation of children, and has worked with governments and local communities to reunify children with their families and support family and community based care. 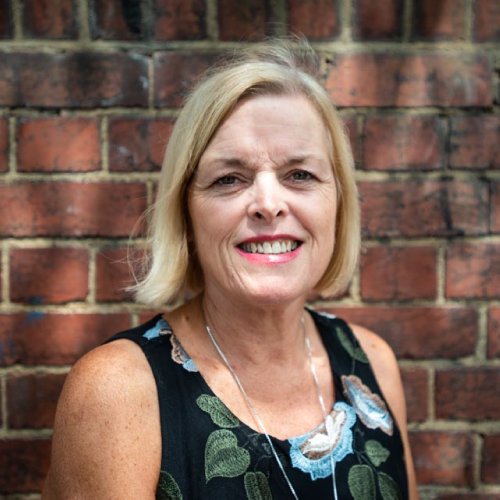 Widely acknowledged as one of Australia’s foremost educators and practitioners in the field of child sexual abuse and child abuse prevention, Karen leads Save the Children’s child protection work. She manages Child Protection, Gender Equality and Disability Inclusion technical support and training for staff and programs across Australia and internationally, helping ensure children are kept safe and protected from harm through all aspects of Save the Children’s work across 120 countries. In Australia she has worked extensively with Aboriginal and Torres Strait Islander communities, staff and programs in urban and remote areas. Karen is a qualified social worker with 35 years’ clinical, managerial, training and research experience in child protection. In 2010 she was appointed a Member of the Order of Australia (AM) for “Service to the community in the area of Child Protection through contributions to policy and program development and legislative reform”.